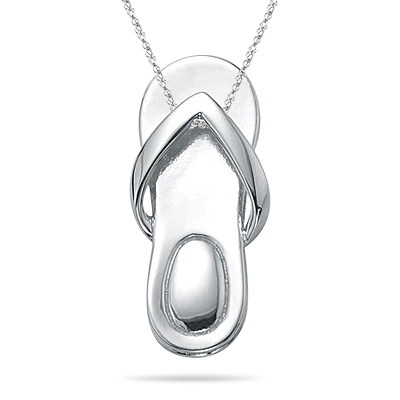 Sandal Pendant in 14K White Gold . This stunning Sandal Pendant is magnificently designed in 14K White Gold. A stylish pendant exhibiting impeccable style. The chic pendant comes finished with an 18-inch 14K White Gold Singapore Chain.